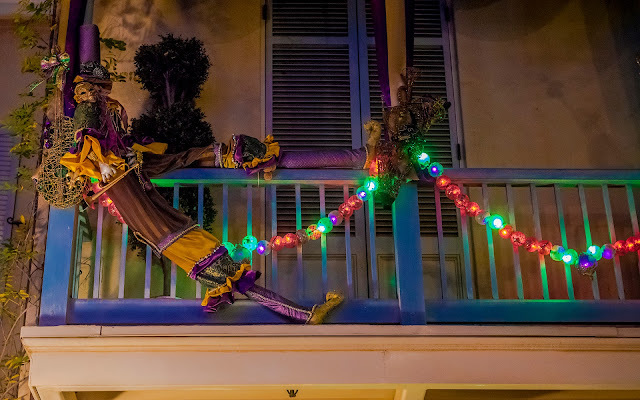 Disneyland is a multi-dimensional experience with detail abounding everywhere, so sometimes, the most interesting surprises come at an angle different from regular eye level. 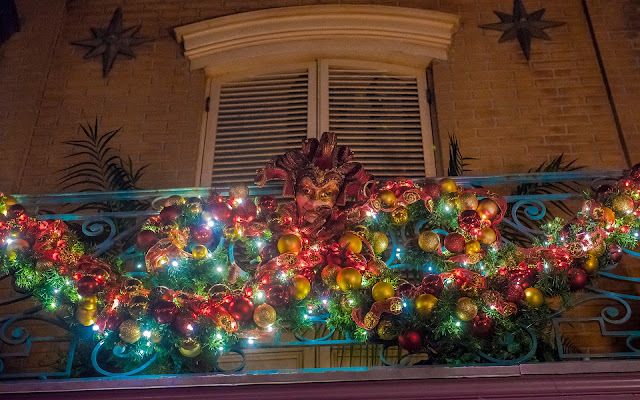 In New Orleans Square during the holidays, this means little Christmas flourishes on the balconies, where there are not only lights and garland, but also festive figures reflecting the bayou atmosphere. 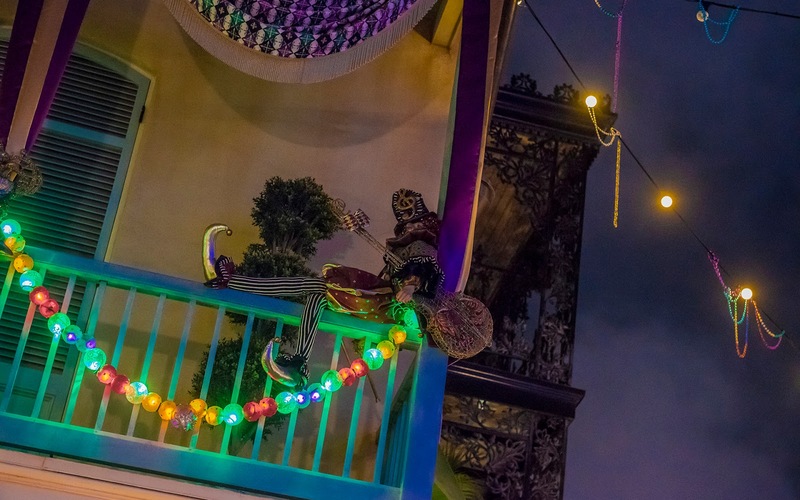 A angel and a few jesters are just some of the figures that can be found. How many more have you spotted? 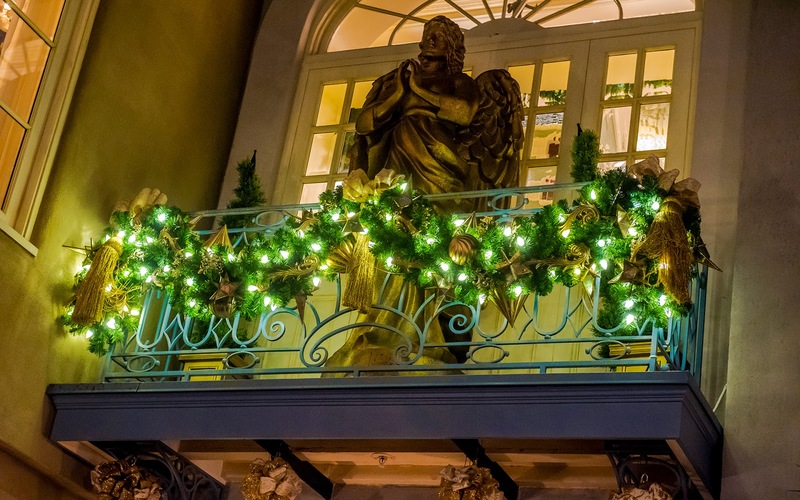 A few of the figures that can be found on the New Orleans Square balconies during Christmas time.